Abandoned once purged of ore, the Copperbell Mines laid abandoned for nigh on three centuries until Amajina & Sons Mineral Concern reclaimed the shafts – the guild’s sights set on expanding the mines downward in an attempt to tap yet undiscovered veins of valuable metal. Unfortunately, it was not riches the powder kegs uncovered, but sheer terror, for when the smoke cleared, out poured an army of raging giants from the darkest recesses of the mines. The hecatonchires – thrlls of the lost Thorne dynasty – were, at last, free from their lightless prison; three hundred years of hate fueling their madness. So here is where things start to get interesting! In the previous Dungeons (Sastasha and Tam-Tara Deepcroft) we were given the chance to get used to dungeons and how your role in a party will be. 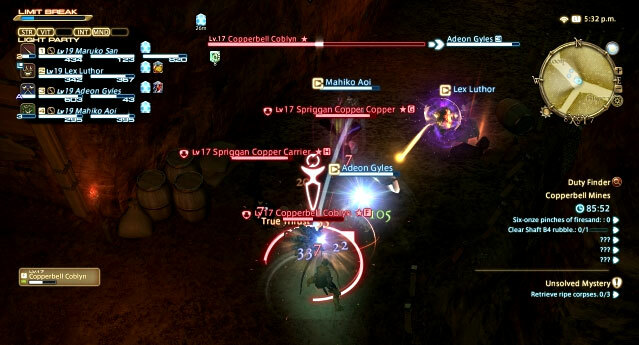 In Copperbell Mines, each player has a role to play, both teamwork and knowing the dungeon dynamics is critical to finishing this efficiently. 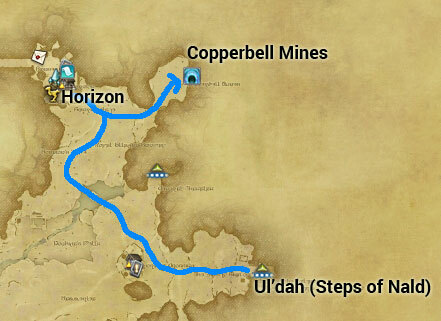 Located in Western Thanalan, west of Horizon camp and east of Ul’dah (Steps of Nald) exit. 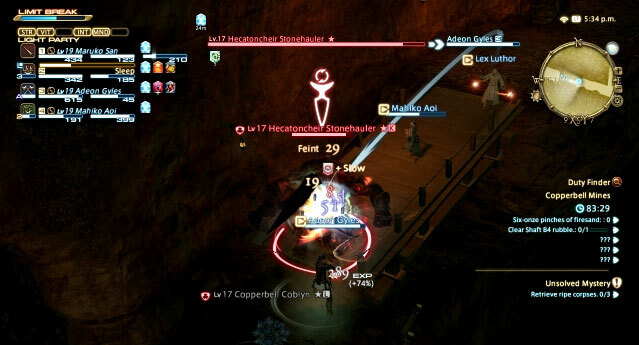 Lifts: There are 3 lifts in the whole dungeon, be mindful that if you miss to ride the lift with your party, one person needs to operate the lift and come back for you. Spriggans: There will be random spriggans that are wandering around the mines, so be on the lookout for any that come your way. 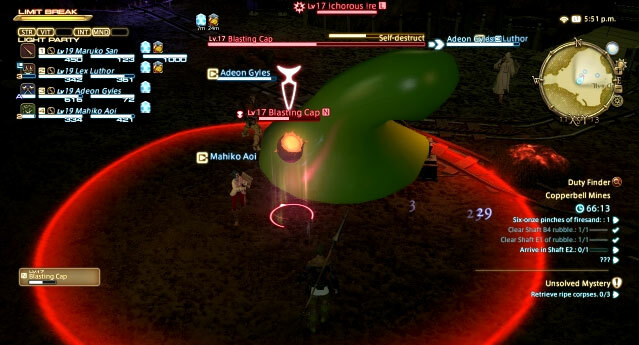 Make sure your TANK picks them up during any fight. Hecatoncheir Stonehaulers: These guys pop up from various crevices, you cannot put them to sleep and are immune to CC, so make sure your TANK picks them up too. 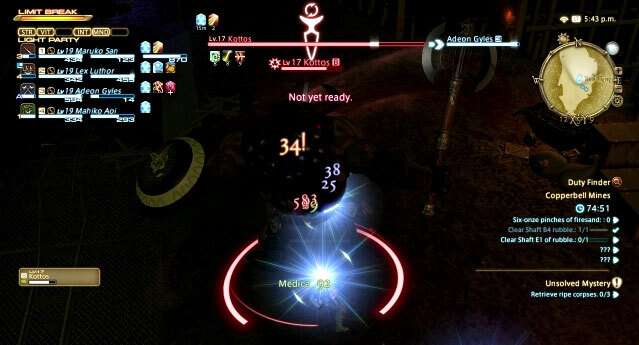 Blasting Devices & Firesand: There are several Blasting Devices that you will need to activate to progress in the dungeon. Just remember this simple rule, Firesand -> Powder Chamber -> Blast, before you can activate a device, you need Firesand which can be found nearby any blasting chamber, load the powder chamber with the firesand and hit the Blasting Devices once loading is complete. After every blast, you will unlock a new part of the dungeon. 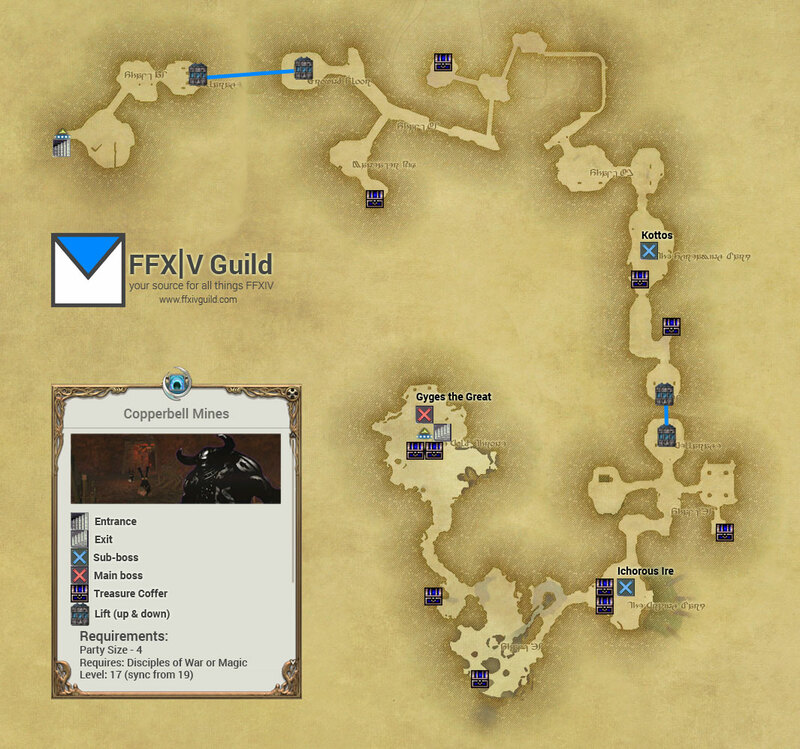 This is the first dungeon which showcases unique mechanics for each of the bosses. 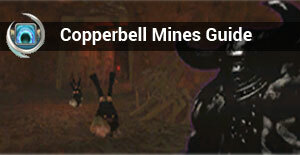 I enjoyed Copperbell so much I repeated this dungeon a few times to level up. If I might add, this place gives some decent loot that will help on your next story quests and dungeons. Before you get to fight Kottos, you will need to kill a few waves of monsters. The trick here is to make sure your TANK picks up as much as they can while focusing on killing them one by one or lump them into one place to do some AoE and kill them faster. If you have a THM in your party, Sleep will be a useful skill to use if you have proper coordination. 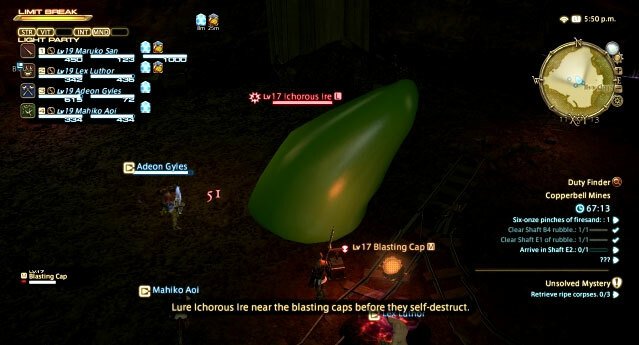 The goal is to lure ‘Blasting Caps‘ to Ichorous Ire and when the caps are ready to explode, make sure Ichorous is in the blasting radius. 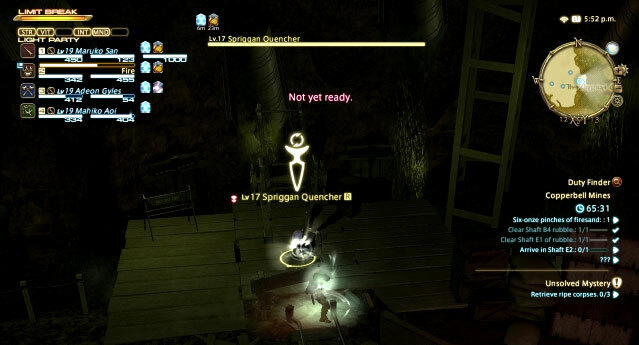 Spriggan Quencher (Adds) – these little buggers will spawn to quench the Blasting Caps flames, make sure your DPS kills them before they do! Every time you successfully blow up a Blasting Cap near him, it will split into pieces. After about 4 or 5 successfull blasts, you can DPS the little oozes. The mechanic here is simple, after beating up about 75% of Gyges life, he will start moving to a boulder and destroy it. This will signal the entrance of adds. 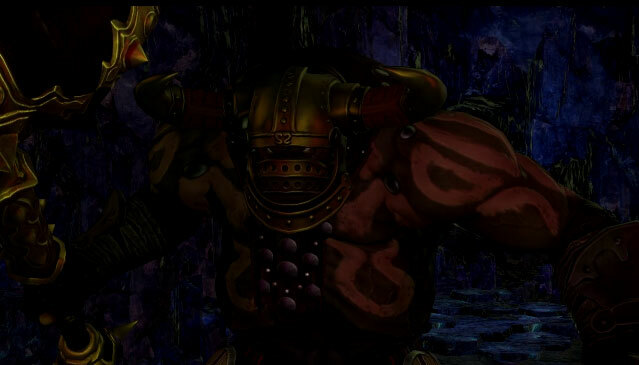 Stone Servants (Adds) – the servants will move up to nearby boulders and try to destroy them, summoning more servants. You have two choices, kill the adds before they open up more boulders, or simply focus on killing Gyges while taking the pain of the adds. 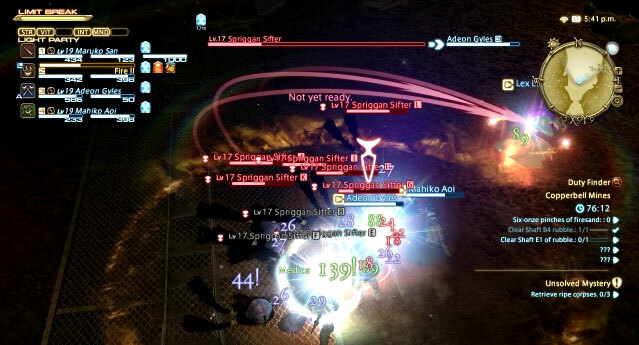 If you feel confident in your party’s DPS / Healing capabilities, go for the latter (Not Recommended). Gygas the Greats adds start after 25% health loss now, requiring you to deal with them as the fight progresses or else be swarmed. If the tank is armored enough, the healer should help take out the adds before they break the walls. It’s still far easier to just dps it down if you have even mediocre dps. The adds are just bodies in the way…do no real damage.